My grandfather left behind a binder full of artistic experiments he carried out with a computer and electronic plotter in the early 1980's. 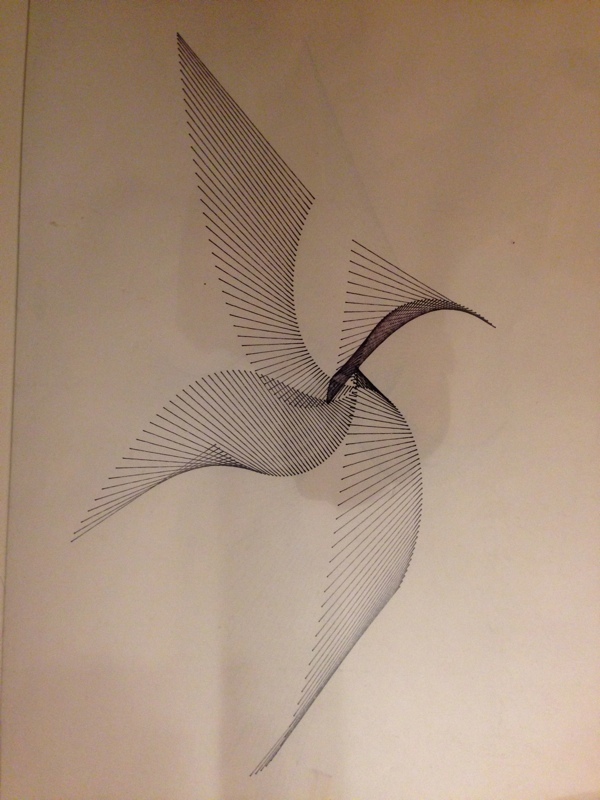 The most common image was "a kind of bird" produced with lines that connected iterated trigonometric functions. 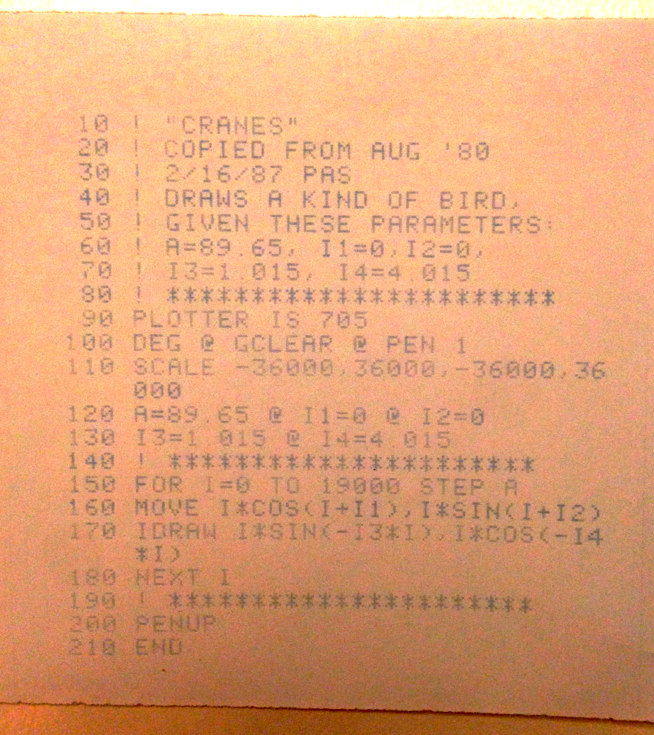 He also included some faded printouts of the code he had written to generate these images. Unfortunately, the results of my simulation do not quite match his bird image. So in an attempt to better understand the math behind the algorithm, I began adding interactive controls that make it possible to adjust the various parameters in real time. So far, I haven't figured out why my simulation is producing different results than Peter's HP calculator, but I've had a lot of fun watching the image subtly morph as I adjust the sliders. You can try it yourself below. Let me know if you come up with any ideas about why my simulation doesn't match the historical version!